Before Blue Apron and Purple Carrot, there was Hamburger Helper and Swanson's frozen dinners. Before that, in the days of yore when I was growing up, when my father didn't have time to hunt down a brontosaurus, my mother made do with Campbell's cream of mushroom soup and an arsenal of Lipton's dehydrated products. Spanish rice, tuna casserole and pot roast were her go-to dinners, egged on by the women's magazines of the day like the Ladies Home Journal that—shades of Betty Draper—gave busy homemakers tips on "quick dinners your family will love!" Tamale pie was one of those dinner solutions, though in the days when most Americans considered spaghetti sauce "spicy food," its call for the addition of chili powder was a bridge too far for many. But my dad loved him some zing, so my mom would occasionally pep up her dinner rotation with chili powder-inflected goulash or tacos with hot sauce. 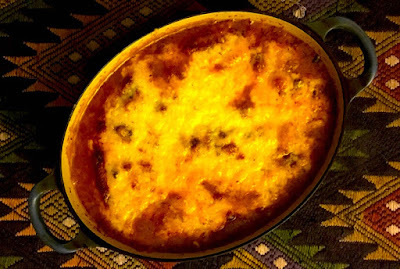 I'd been looking for a tamale pie recipe for those times when I'm feeling a bit of nostalgia for the casserole dinners of my childhood, and my friend Lizzy shared one recently that brought back a flood of cornmeal-scented, cheesy memories. Updated with a few adaptations using local cornmeal and grassfed beef, locally grown and roasted tomatoes and some tangy cheddar from Face Rock Creamery in Bandon, it fit the bill perfectly. I hope it will for you, too! Heat oil in large skillet over medium high heat. (If using cast iron skillet, you can bake the casserole in it, as well.) When it shimmers, add ground meat and sauté until the meat is browned. Add onion and sauté until tender, about 3 minutes. Add garlic and pepper and sauté until softened, about 5 minutes. Add chile powder and cumin and stir briefly, then add tomatoes, corn kernels and broth. Bring to a simmer. Salt to taste. While meat mixture simmers, bring 2 cups water to a boil. Slowly add cornmeal, stirring vigorously to prevent lumping. (Mixture will be quite thick.) Add 1 teaspoon salt, or to taste. Stir cornmeal mixture into other ingredients. Put mixture into casserole (if you are using a cast iron skillet, you can bake the casserole in this). Sprinkle cheese over the top and bake about 30 minutes. Here's another version of tamale pie with a cornbread topping. 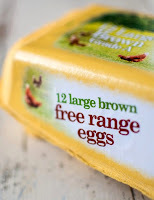 Eggs are getting a lot of press these days, from the ballyhoo over big corporations announcing they'll only use cage-free eggs to debates over the credibility of the dizzying plethora of labels stuck all over the cartons in supermarket egg cases. So when I read this deep dive into the subject by my friend, writer Lynne Curry, I knew you'd be as intrigued as I was. The other day I met a woman in the grocery store where we stood side by side scanning the overflowing options of the yogurt aisle. I felt almost dizzy trying to find organic yogurt. When I reached for a quart of grassfed Stonyfield, she laughed. “That’s what I was looking for!” And then we chatted briefly about the ridiculously high sugar content in flavored yogurt for our kids. She’s another shopper like me, I thought as I watched her walk toward the egg section. No supermarket stalker, I looked on with curiosity because I’ve been researching and writing about organic egg production here and here. Again, she mulled over the offerings and surveyed the cartons bearing labels from cage free to organic to free range. When she picked up a carton of cage-free eggs, my heart sank a little. Nope, I realized, she doesn’t know either. 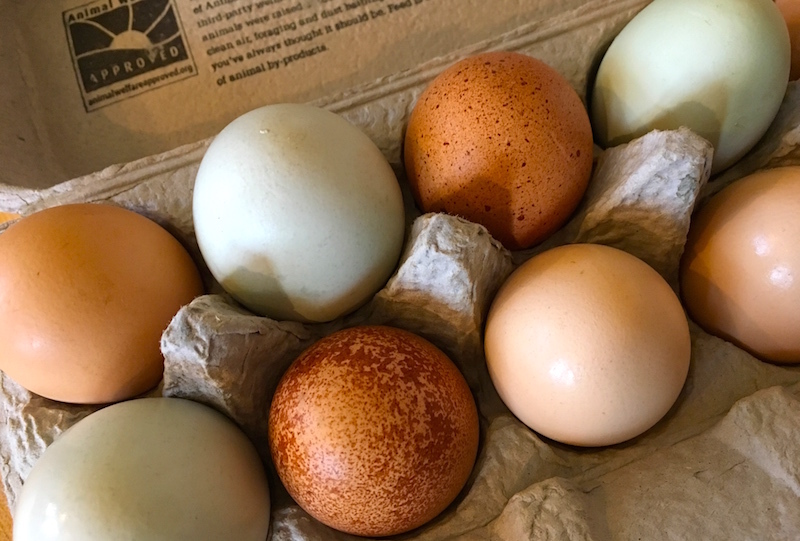 And so I committed to finishing this egg post to share what I know about finding, buying and eating good eggs. Maybe you’ve noticed that the egg industry is undergoing a quiet revolution. 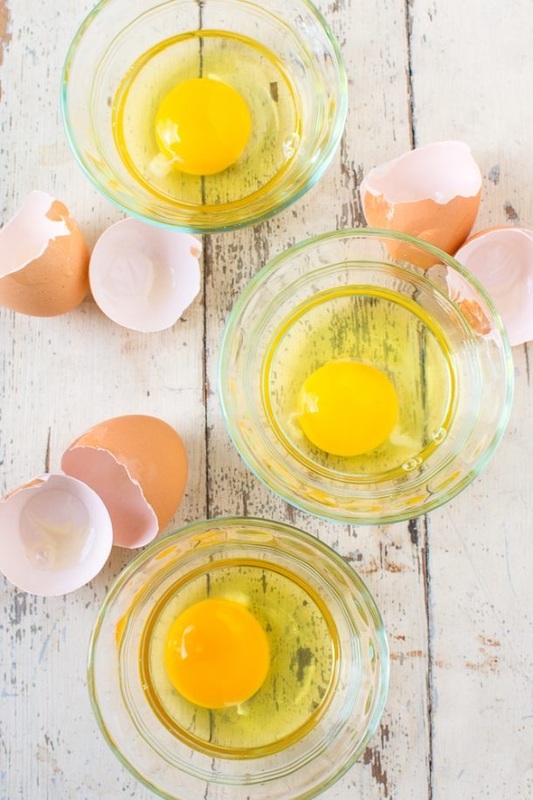 We’re eating more eggs now than in the past 30 years—263 eggs per person in 2014, according to The Washington Post. The story I’ve been following involves major policy changes and the 200-plus big businesses that have committed to transition to cage-free eggs by 2025. 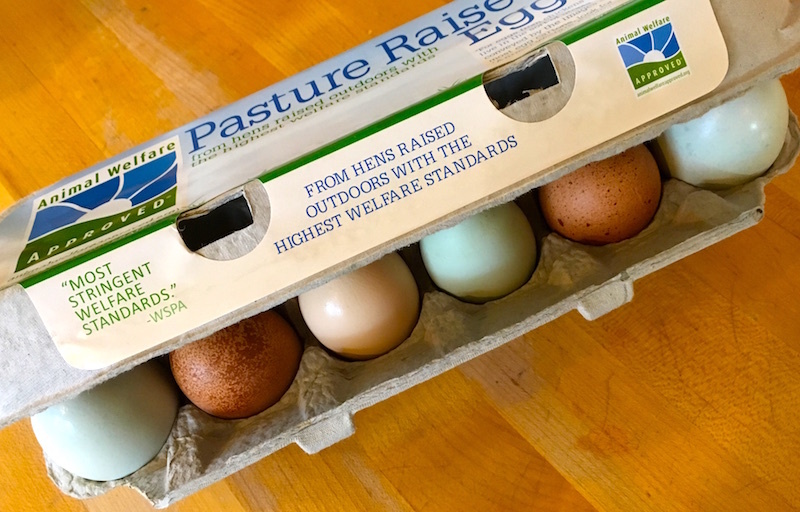 While Big Ag policy stuff is a big yawn most of the time, this change is already sweeping the country and changing the egg market for the better. The shift to cage-free and the popularity of organics are two reasons why there are more choices on the market than ever—which makes buying eggs so confusing. But here’s the uplifting takeaway: change is coming from the bottom, not the top. Consumer buying habits and concerns about the treatment of animals are the main driving force behind changes in egg production methods that affect the hens, the lands, the farmers and local economies as well. It’s you. It’s me. It’s all of us shifting eggs away from the grip of factory farming because we want better lives for animals, better foods for our families and more corporate responsibility (read: honesty). You probably already know this if you have been lucky enough to taste a local egg. It’s hard to go back to store bought. But this winter, despite foraging far and wide, there were no local eggs to be found. So, I had to make choices from the egg section at the grocery store. Buying eggs is about the chicken and the egg. The difference of each type of egg carton—from cage-free to organic to pastured—is an indication of the chicken’s lifestyle, the nutrition and the flavors of each egg. But unfortunately, it’s not the whole story, and you have to dig deeper to get a truly good egg. What about all of those labels festooning the cartons? They are more confusing than helpful, in most cases. While there are a lot of egg label guides, I find most of them a little hard to decode, so I recommend downloading Animal Welfare Institute’s pocket guide. Or to find out how the organic eggs you already buy rate, scan this scorecard from the watchdog food group Cornucopia Institute. Here’s the deal: all eggs are going cage free. This means that millions of laying hens will no longer be confined to battery cages the size of an 8 1/2 by 11-inch sheet of paper. While it’s a major step in the right direction for animal welfare, it’s a little more complicated than that, as this Mother Jones article reports. In short, these debeaked chickens are still confined to multistory laying facilities called aviaries where the conditions are crowded, air quality is questionable and the pecking order causes higher mortality rates. Cage-free is not a compassionate eater’s dream, in other words. Cage free also has no bearing on the nutrition, quality and taste of the egg for you. The chicken feed is the same as for caged hens. Plus, while they can at least flap their wings and lay down, they do not get outdoors where they exercise and get sunlight while ranging for insects and other tasty items that diversify their nutritional intake. Organic is pretty much about the feed, that’s it. So while organic eggs will be antibiotic and GMO-free, they will not necessarily come from hens who had any genuine access to the outdoors. In fact, the biggest producers of organic eggs operate giant multi-story hen houses called aviaries and they dominate the organic egg industry. Free-range sounds good, but it doesn’t mean anything at all without any other verification to back it up. 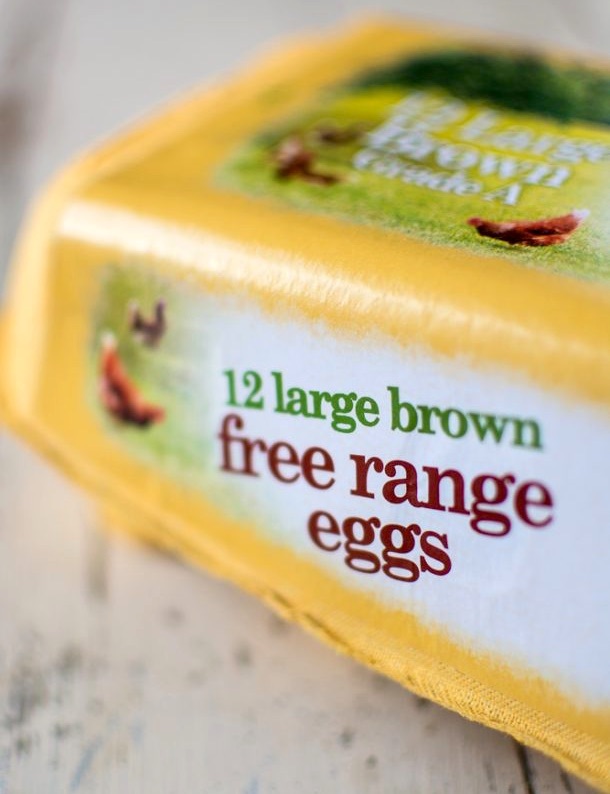 It is simply an alluring marketing claim that producers can slap on an egg carton at will. Same goes for pasture raised, an unregulated term, so be on alert for false advertising. Stand-alone labels like these are just there to fool you. So just go ahead and ignore all of these meaningless claims from now on, okay? 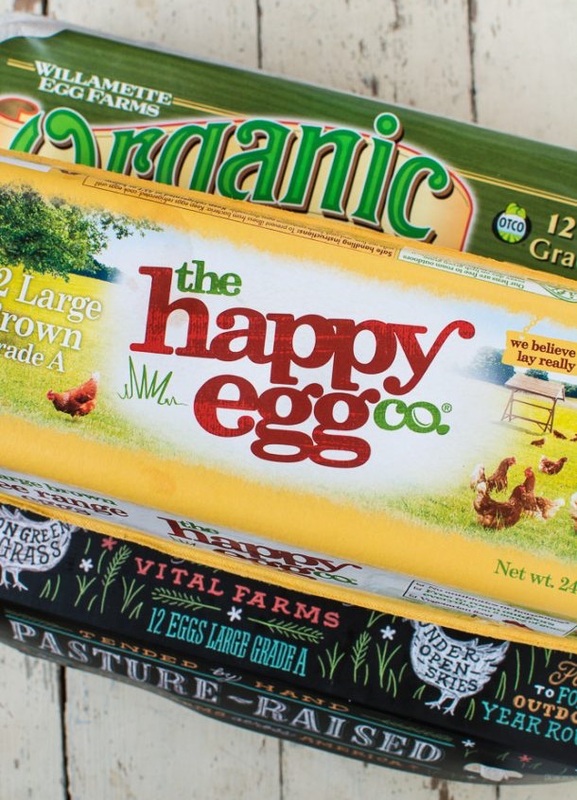 These seals—or stamps of approval—on egg cartons do mean something. Called third-party certifications, they verify that the marketing claims are true. 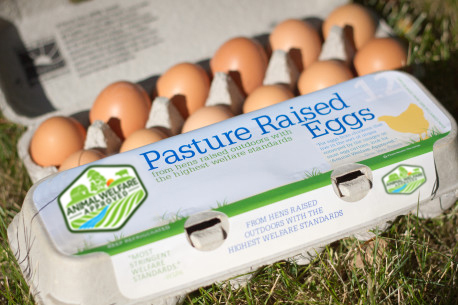 So, for example, if the label says pasture-raised or free-range and its paired with the logo from Animal Welfare Approved, this is the gold standard. You can trust that an independent auditor made sure that the hens truly do live on pasture except for when their health or safety is at risk. Certified Human (less stringent than AWA) and American Humane (less stringent yet) are two more third-party certifiers for eggs. Yes, it is mind boggling. And yet necessary in a world where we have commoditized living creatures for profit. Small photos of egg cartons, cracked eggs and farm stand by Lynne Curry. Considering it's one of the simplest and most common culinary ingredients, salt is a surprisingly complex subject. Contributor Jim Dixon of Real Good Food gives some background. I started importing flor de sal when I realized that everything I ate was drizzled with olive oil and sprinkled with coarse salt. I had, and still have, a French-made Peugeot cast aluminum salt grinder (salt mills must have ceramic grinders so they don't corrode; pepper mills have metal grinders). I'd fill it with chunks of traditional sea salt and grind some over my food after I'd anointed it with oil. Salt ponds in the Algarve region of Portugal. Then, almost 15 years ago, I read Corby Kummer's article in the Atlantic. Kummer described a culinary salt journey much like mine, moving from the hard square crystals of refined table salt to the pyramind-shaped flakes of kosher salt to the softer, more nuanced, flavor-enhancing qualities of traditional sea salt. He swooned over fleur de sel, the light gray sea salt from the marshes of Brittany, even if the price gave him sticker shock. But he'd just discovered something better, flor de sal, Portuguese flower of salt from the hot, sunny Atlantic coast called the Algarve. It took me about a year to get my first bags of flor de sal from the idealistic young marine biologists who started Necton, the company that harvests salt the way the Romans did when they lived along the same coast. All it takes to make flor de sal are the sun, the sea and somebody to skim the delicate crystals from the water after they start to bloom. Flaky salts like Maldon and Jacobsen come from boiling the sea water over gas fires until most of the water evaporates. Only about 10% of the salt in the salina is available as flor de sal. As the crystals grow, they sink to the bottom and are raked out as traditional sea salt. 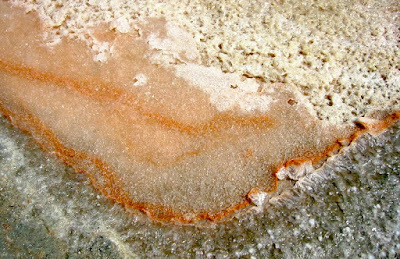 The larger crystals can be used for cooking, where they dissolve, or are ground into fine sea salt. We keep a few bowls of flor de sal in the kitchen so it's easy to grab a pinch. Fingers are the best way to add salt, too; bacteria can't grow on the salt (except on the ocean floor near a volcanic vent). And everything I eat gets a drizzle of olive oil and a few crystals of flor de sal. Diamond Crystal kosher salt, the most widely used brand, is made by Cargill. For me, that's enough reason not to use it. I'd rather my food dollars went to companies, big or small, that share my values about corporate responsibility, environmental protection and eating real food. But sea salt harvested specifically for using with food also tastes better. More than 90% of the salt produced around the world is destined for industrial uses, everything from making PVC pipe to de-icing roads. And most industrial users want pure sodium chloride, NaCl. Salt mined from the earth, all of which came from prehistoric oceans, can be nearly 99% sodium chloride. 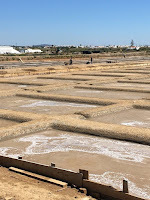 Large producers of sea salt that use evaporative ponds can drain excess brine while the salt crystals are forming, washing away the trace elements found in sea water. The relative handful of sea salt producers who only make culinary salt allow the sea water to evaporate completely, so all of the magnesium, calcium, potassium and other trace elements found in the ocean stay in the salt. Sea salt can be less than 90% sodium chloride, and the presence of the trace elements buffers the natural bitterness of pure salt. Try this: fry two eggs (in olive oil, of course), then salt one with kosher or table salt and other with a good sea salt or flor de sal. You can taste the difference. Top photo from Wikimedia. 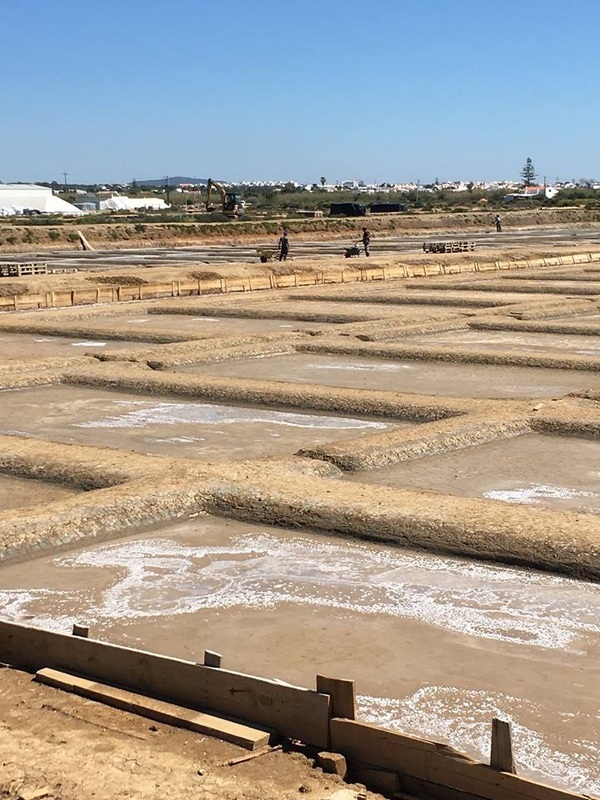 Photo of Algarve salt beds from Jim Dixon. Not to scare the pants off of you, but Threemile Canyon Farms, the mega-dairy mentioned above, now has 70,000 cows, with a concomitant increase in the amount of ammonia produced per day—meaning its cows now produce 20,746 pounds of ammonia per day, every day, for a grand total of 7,572,180 pounds per year. Not only that, it's soon to be joined by Lost Valley Farm, which is initially slated to have 30,000 cows. Oh, and Boardman? It's right on the banks of the Columbia River, at the east end of the Columbia River Gorge. Slurry at Threemile Canyon Farm. 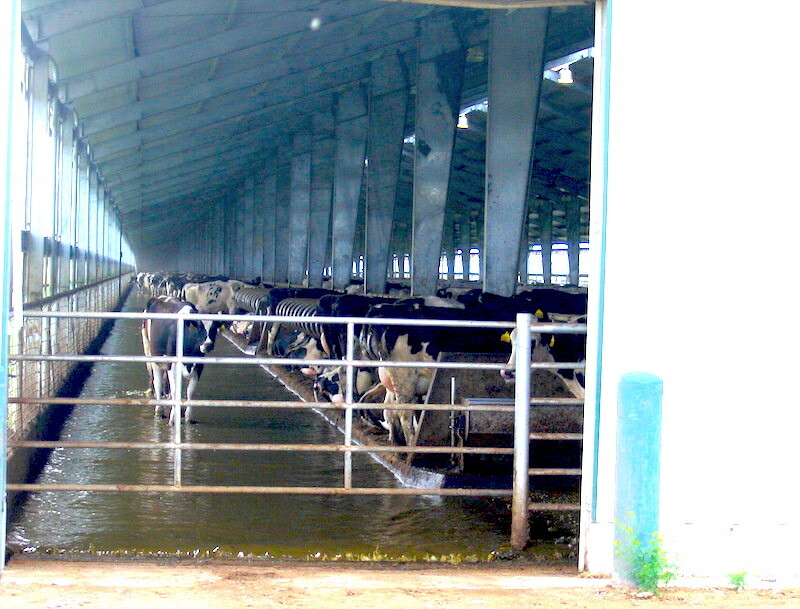 Luckily for these factory farms—both of which have contracts to supply much of their milk to Oregon's own Tillamook cheese so it can be sold from here to Micronesia—the legislature's Senate Committee on Environment and Natural Resources today killed a bill, SB 197, that would have begun the process of setting up basic regulations on air contaminant emissions (like ammonia) from these types of mega-dairies. 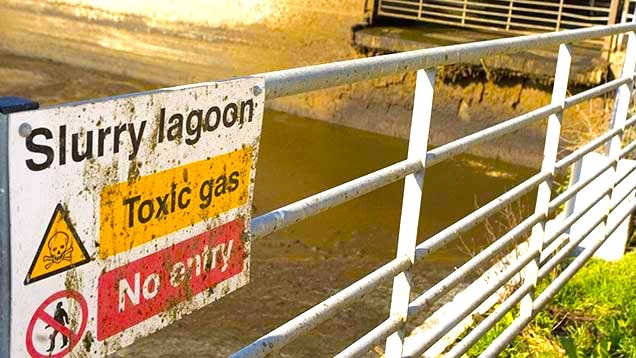 Contaminants are not monitored or regulated due to a loophole in Oregon law that exempts these factory farms from any requirement to monitor, report or reduce air pollution associated with the manure from the tens of thousands of animals they keep. Cow standing in slurry at Threemile Canyon. In a statement on the demise of SB 197, a coalition of farm and environmental watchdogs said that "large mega-dairies like Threemile Canyon Farms, with 70,000 cows, and the recently approved 30,000-cow Lost Valley Farms, have been identified as major sources of ammonia, a gas responsible for haze and acid deposition in the Columbia River Gorge." "The landscape of agriculture in Oregon is changing," according to Ivan Maluski, Policy Director of Friends of Family Farmers. "Since 2002, the state has lost roughly 75% of its dairy farms even as cow numbers have grown and large industrial scale dairies have moved in. Instead of supporting small and mid-sized family farms, the state has opened its doors for increasingly large, factory-scale industrial dairy operations. All the while, Oregon decision-makers have been putting their heads in the sand with regard to their harmful emissions of gases like ammonia and methane from these increasingly large operations. 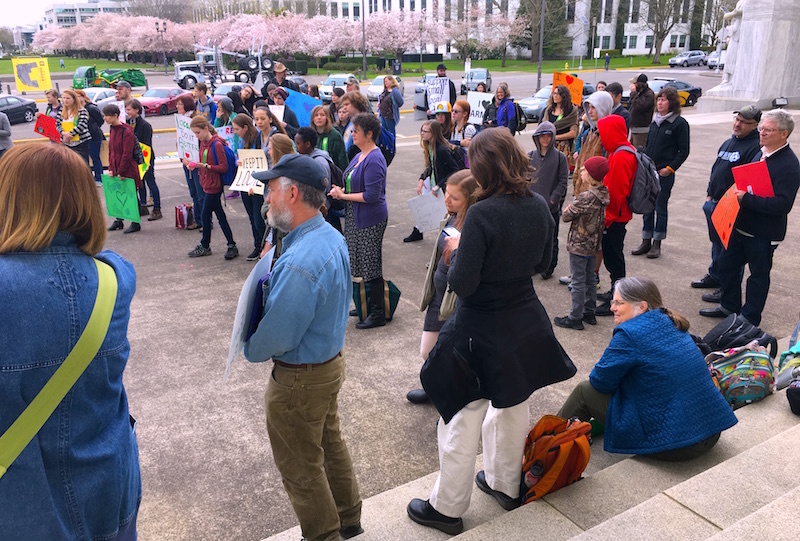 Today will be marked as one in which Oregon chose to do nothing to address the harmful air emissions from the growing number of large confinement dairy operations coming here to take advantage of our misguided air pollution loophole." 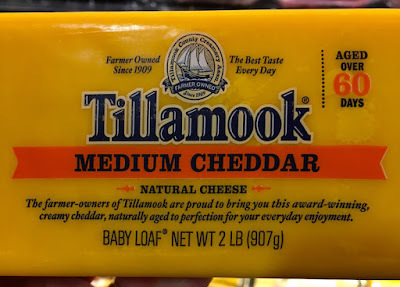 Read my post on Why I'm Quitting Tillamook Cheese. Read the other posts in this series. Find your legislators here and share your concerns. This time of year my craving for greens is practically insatiable. I'm coming home from the market with bunches of raab (or rapini or rabe) from multiple different vegetables—turnips, kale, mustard greens—and foraging through the aisles for nettles, fiddleheads…well, you get the picture. And since these days I only buy carrots with their tops still attached because I had one too many woody, flavorless carrots from the cheap-for-a-reason bulk bin, I've been giving their frilly green appendages the same lustful looks as their cousins the brassicas. Using those tops is also a great way to keep perfectly good food out of the compost bin, so the other evening when I was casting about, as I usually do, for what-can-I-feed-my-family ideas by digging through the vegetable bin, I came across a few stalks of parsley along with the carrot tops, and decided to throw them into the blender with walnuts, a little salt and a couple of cloves of garlic. Stirring in a pile of shredded romano, the pesto got tossed with pasta and laid on top of a bed of arugula, then "garnished" with slices of a couple of seared pork loin chops I'd found in the freezer. 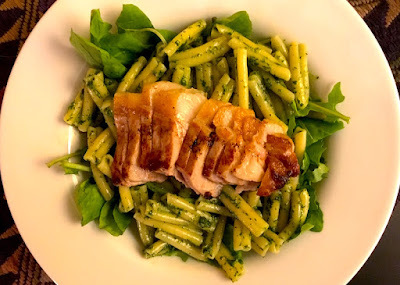 One-dish dinner, and it looked (and tasted) like a restaurant meal. I could get used to not wasting food! Place carrot top leaves, parsley leaves, walnuts and garlic in a blender. While blender is running, drizzle in olive oil until it becomes a smooth sauce. Pour into medium-sized mixing bowl and stir in cheese. Add salt to taste. Toss with one pound cooked pasta. 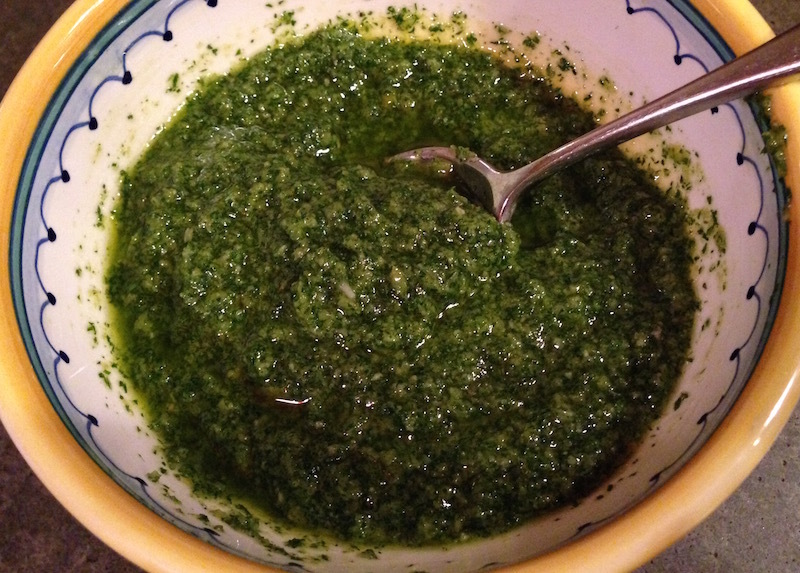 This pesto sauce is also delicious drizzled on roasted or grilled spring vegetables. Who would have thought when we moved into a new neighborhood that, two decades later, we would be fortunate to have so many talented and generous neighbors? Granted, when we moved from our Sellwood house, we were simply looking for more room for our (rapidly) growing child, and there were portents that its 1,100 square feet was not going to fit any of our needs. But that move, into a bungalow-thick, middle-class section of northeast Portland, turned out to be just what we needed on multiple fronts. One neighbor is a chef and cooking school instructor, and we got somewhat used to having pizzas handed over the back fence on lazy summer evenings. Another is a prodigious cookbook author who calls when she's testing recipes for her books, knowing we're open for just about whatever she's got coming out of her oven. Yet another is a prodigious gardener when he's not teaching middle school science, and is keen to share the fruits (and vegetables) of his labors. Fill cocktail mixing glass 1/2 full of ice. Add ingredients. Stir well to combine. Strain into glass. 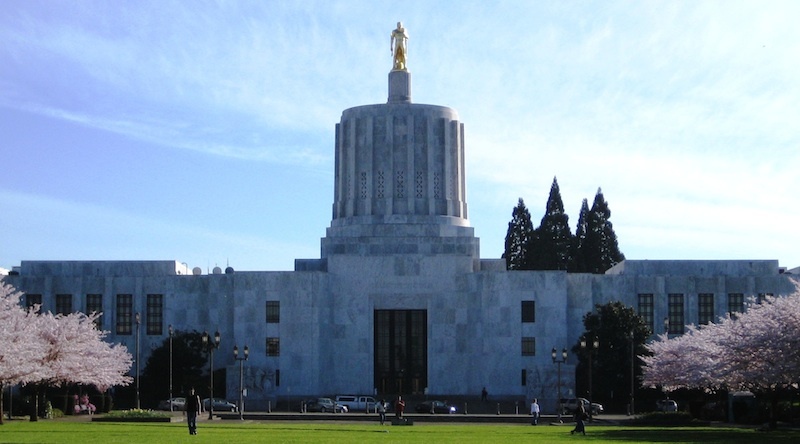 Your Food, Your Legislature is a series of reports giving Oregon consumers a heads-up on issues before the current session of the legislature that affect the food we are putting on our tables, as well as providing you with contact information to voice your opinion on those issues. The 2017 Oregon legislative session is half over, which means it's make-or-break time for bills to move out of committees or die if they don't get the support needed to go to the legislature for a vote. There are bills that directly affect our food system and the farmers we depend on to put food on our tables, so it's urgent that you act now. 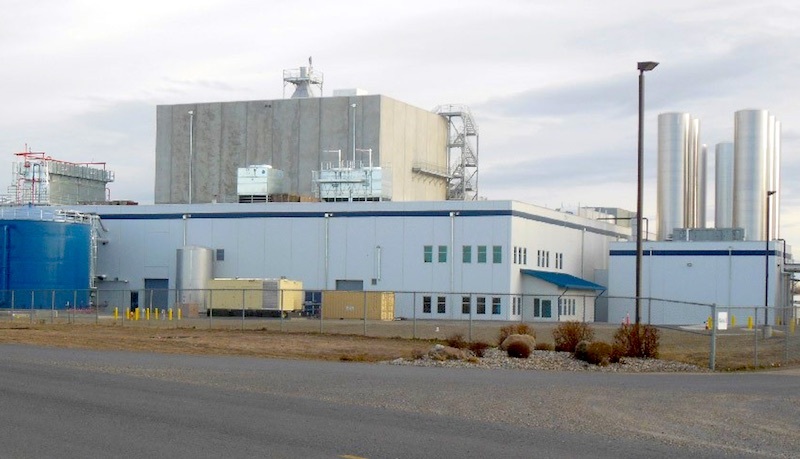 Regulating air contaminants from mega-dairies, SB 197, has just taken on new urgency with the approval last week of Lost Valley Farm, a California-owned, 30,000-cow mega-dairy in the town of Boardman on the Columbia River, joining North Dakota-based Threemile Canyon Farms, a 70,000-cow factory farm nearby. 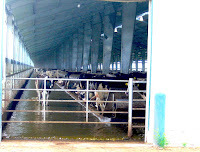 This bill is based on the Dairy Air (no, I didn't make that up) Quality Task Force recommendations from 2008—never enacted—that called for the adoption of a combination of voluntary and regulatory measures to monitor and control the emissions from larged Concentrated Animal Feeding Operations (CAFOs). 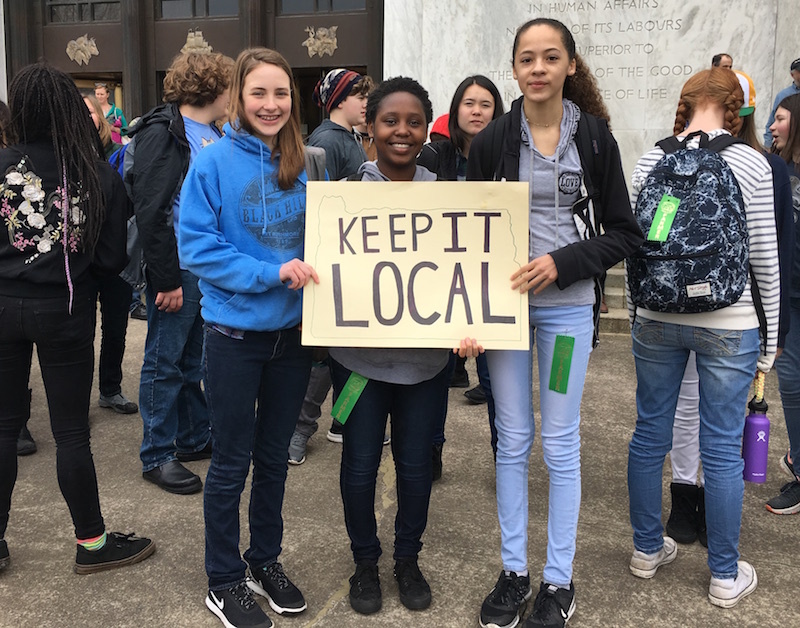 Young supporters of Oregon farmers rally at the State Capitol in Salem. Since 2008, elevated concentrations of ammonia from Threemile Canyon Farms has been linked to acid deposits in the Columbia River Gorge, and nitrogen compounds are contributing to elevated levels of ozone in the vicinity. Acid rain falls frequently and a permanent haze hangs over the area. If these problems aren't dealt with now, especially with the addition of Lost Valley Farm and the pollution from both facilities' open-air cess-pits (one of several covers 20 acres of land), the cost of clean-up could run into the millions for Oregon's taxpayers, not to mention the degradation of the quality of life and safety of the area's residents. Oregon has lost nearly 75% of its small dairies since 2001, when the first mega-dairy opened in the state and started flooding the market with cheap, factory farm milk, driving down prices to the point where smaller family-run operations couldn't make a living. 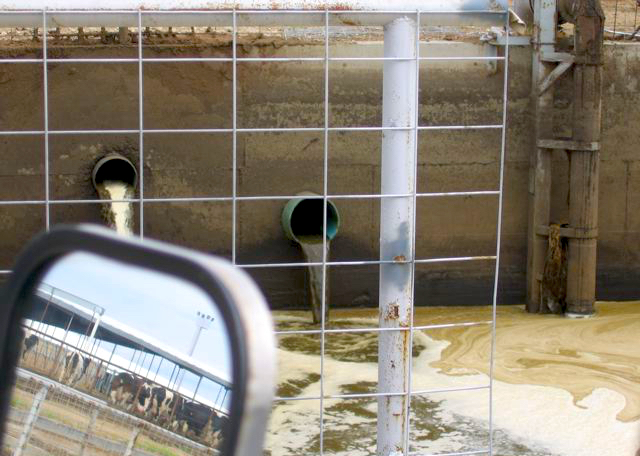 With neighboring states (California, Washington and Idaho) establishing tougher environmental standards, these out-of-state-owned mega-dairies and their polluting systems are flocking to Oregon. Farmers and supporters rally in Salem. To act now, contact your state legislators, especially your Senators, and urge them to support this bill, currently in the Senate Environment and Natural Resources Committee. It must move out of that committee by Tuesday, April 18, or it will die. Call or e-mail and tell your legislators who you are, where you live, what you do and why it's important for them to act on this bill. If you can, also contact the members of the committee, listed below. They are under tremendous pressure from mega-dairies—with their mega-money—and agribusiness lobbyists who are against any attempt at regulating their industries. Here is the message I sent in an e-mail to the Senators listed above: "I am an Oregon resident and I am contacting you to ask that you pass SB 197 out of your committee and send it to the legislature for a vote. Oregon’s air quality should not be compromised by out-of-state mega-dairies flocking here to take advantage of our lax regulatory system. Thank you." Local regulation of genetically engineered crops (HB 2469): This bill allows counties in Oregon to protect farmers within their boundaries from contamination of their crops by genetically engineered (GE) crops. It effectively repeals a bill dubbed the "Monsanto Protection Act" that was signed into law in 2013 by then-Governor John Kitzhaber that took away the rights of local communities to set local food and agriculture policies. If passed, it allows counties to once again regulate or ban GE crops to protect farmers growing traditional crops, and it would leave in place an existing ban on GE crops that passed in Jackson County on May 20, 2014. Oregon farmers and supporters rally in Salem. Allowing farmers to seek damages for contamination (HB 2739): This bill clarifies that the responsibility of contamination of a farmer's crops by another farmer's GE crops lies with the patent-holder, allowing the court to award prevailing plaintiff costs, attorney fees and triple the economic damages. In many cases in the past, the farmer who is the victim of contamination has not only lost his crops, but has been successfully sued by the patent-holder for "stealing" the GE crops. In addition, in some cases organic farmers have lost their organic certification due to this kind of contamination by GE crops, essentially putting them out of business. 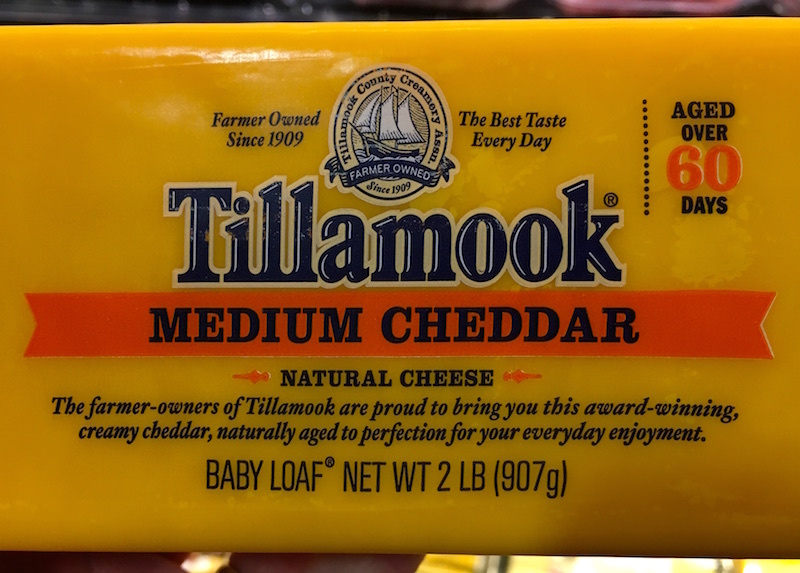 Oregon farmers deserve to have legal recourse in the event of this kind of contamination. Maintaining funding for farm-to-school programs (HB 2038): Currently, Governor Kate Brown’s proposed two-year budget cut all funding for Farm-to-School programs. 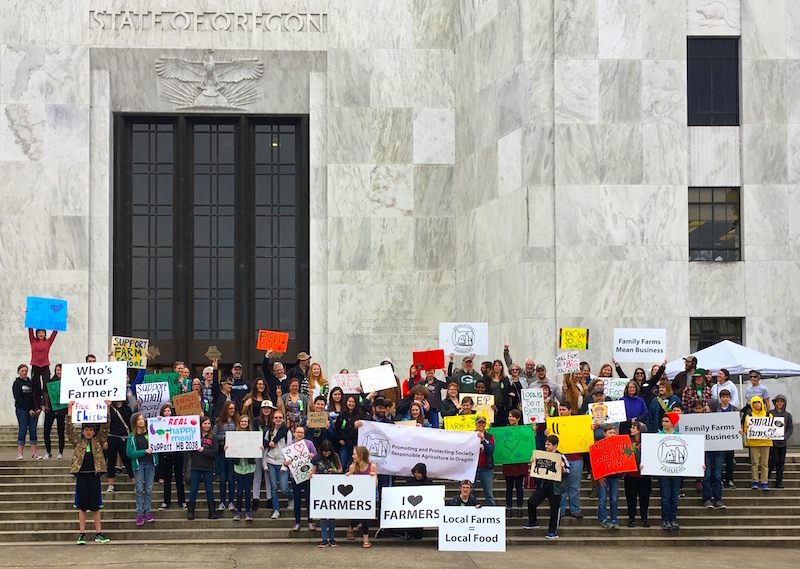 In 2015, the Legislature provided over $5 million in funding for a farm-to-school program, but because Oregon is facing a severe budget shortfall of roughly $1.8 billion, top Legislative budget writers earlier this year proposed significant cuts to the program. 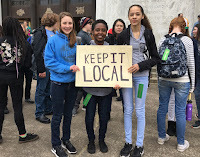 This bill appropriates funds to the Department of Education for grant programs allowing school districts to purchase Oregon food products and to pay for costs related to food-based, agriculture-based and garden-based educational activities. Tax credit for renting farmland to beginning farmers (HB 2085). This bill creates a beginning farmer tax credit to encourage landowners to rent land to beginning farmers, with higher rates given for organic practices. Despite growing demand for locally grown food, Oregon is in the midst of land crisis. The state lost nearly 25% of its beginning farmers (those in business fewer than 10 years) between 2007 and 2012, according to the USDA. The average age of farmers in Oregon is now 60 years old, and fast-rising farmland prices are raising serious questions about who will grow our food in the future. Read the other posts in this series. Find your legislators here. My friend Laleña Dolby is working with local letterpress greeting card company Egg Press on its campaign, Write On, to get folks to start writing again. Appropriately enough, April is National Letter Writing Month, and Egg Press with its partner Hello! Lucky, is launching the Write On Challenge, the mission of which is "to promote joy, creativity, expression and connection through hand-written correspondence." People accept the Challenge to write 30 letters in 30 days in April, or as many as they can. I thought Laleña's contribution was so compelling that it deserved reposting here. Before the barrage of food images on our Instagram feeds, there were stories of food. There was a time when we could not, instantaneously, capture the bright white foam of a latte, or the particular way spring greens weave together on the plate, and send them to someone on the other side of a screen. If we shared an experience of food, it was with those privy to the scent, colors and textures of our nourishment—those sitting across the table from us. If we wanted to relate a dining experience to someone who was not at the table, we used words to translate the visceral experience of eating. We told food stories. 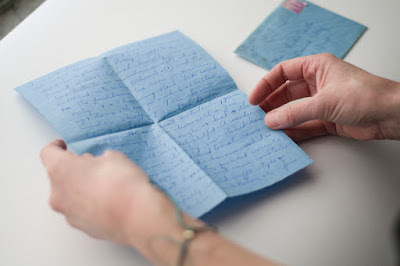 Sometimes, these stories were shared via letter. Like a great meal, letters allow both the author and the recipient to slow down, and savor the moment. I recently caught up with a good friend of mine, Katherine, in our favorite meeting spot, her kitchen. She dished up two bowls of braised kohlrabi that she'd just pulled off the stove. She is the founder of Cook With What You Have, a resource for delicious, simple, vegetable-rich meals, so it was not at all odd to find myself enjoying a savory bowl of winter produce at 10 am instead of a plate of pastries with her. Between bites, we got up to speed on the comings and goings of our lives. For years, we'd worked together on initiatives to help people understand where their food comes from and to develop an appreciation for the people who grow it and prepare it. So it was no surprise that much of our conversation on this morning was around food, but I also told her about the work I am now doing to encourage people to connect with one another via letters. This prompted her to pull a small blue envelope from a stack of papers on her kitchen counter. The outside of the envelope was marked February 10th, 1941. It was surprisingly sturdy for its age. I opened it, revealing a blue toothsome paper, on which a saturated, silky blue ink flowed across the pages like a beautiful stream, curving gently from side to side, up and down: cursive. 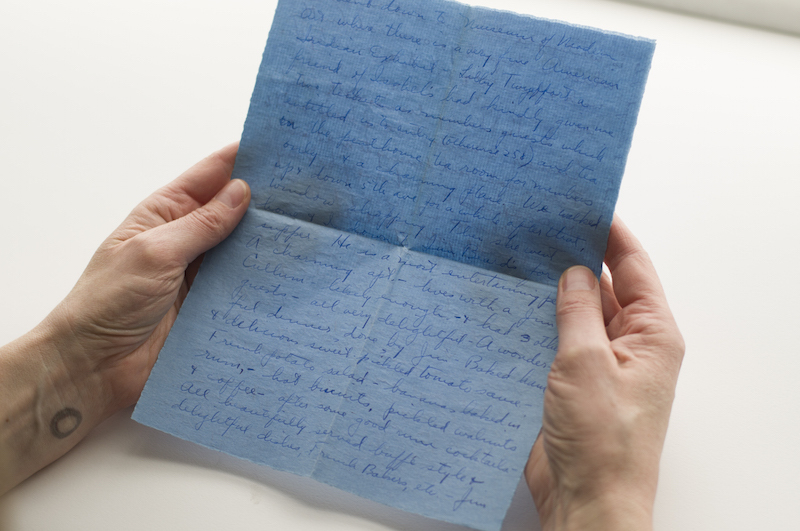 In this letter, Katherine’s grandmother, Deborah, writes to her mother. It is a letter home. Deborah had recently moved to New York from Oregon. Now in the big city, she knew but one person, who was also a transplant from the Pacific Northwest. At one point in the letter, she describes sharing a meal with him, James Beard, or Jim, as she called him. Seated at the kitchen counter, I scooped up warm cubes of kohlrabi as Katherine read the letter to me—a story of a dinner with the dean of American cookery. As someone who has spent a good wedge of time pouring over James Beard cookbooks, locating the street on which he grew up in Portland, and driving to the Oregon Coast to commune with a stretch of beach where his family held sandy cookouts every summer, this letter granted a kind of kinship with James Beard that I previously thought impossible. I moved through time and space; the blue ink on manuscript paper transporting me to the New York apartment table of a hero. 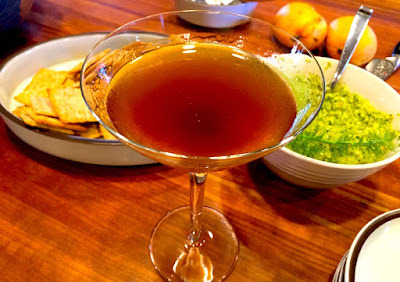 There with Jim, I sipped a rum cocktail, plucked a pickled walnut from a delicate dish and enjoyed the warmth of a hot biscuit. That morning, a special connection was forged that defied life and death and time and space, as letters tend to do. This month, we encourage you to share your own story of a memorable meal, an account of a time spent together at the table, or a description of a food that connects you to someone you love. Write it down. Send it off. You never know, it may end up in the hands of someone like me someday, who treasures it beyond measure. And, if you are in Portland, Oregon, we encourage you to visit our two Write On restaurant partners who also believe in the power that stories and food have to connect us. Pine State Biscuits and Ned Ludd are offering complimentary Write On cards to all diners this month. Belly up to the table, enjoy a wholesome meal and make a memory with someone. Both restaurants are offering writing prompts, that, you guessed it, are all about the nourishing potential of stories. 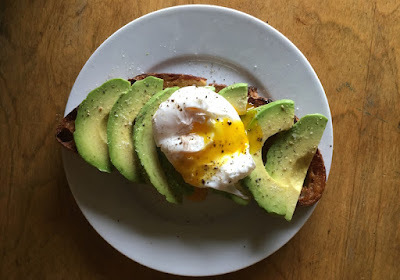 I am slow to warm to food fads, so when I started seeing the words "avocado" and "toast" together and read dripping prose extolling its intoxicating, if not orgasmic, properties…well, I have to say there was a certain amount of eye-rolling that ensued. The photos were beautiful, of course. It's almost impossible to take a bad picture of those luscious green-and-yellow-tinged slices of avocado, and slathered on a thick piece of good bread it's hard to go wrong. I did order it a couple of times at local cafés, but was underwhelmed with the experience. So the other morning when I was getting ready to poach an egg for breakfast, I remembered that there were a couple of ripe avocados sitting in the fridge. Should I try it again? Of course!